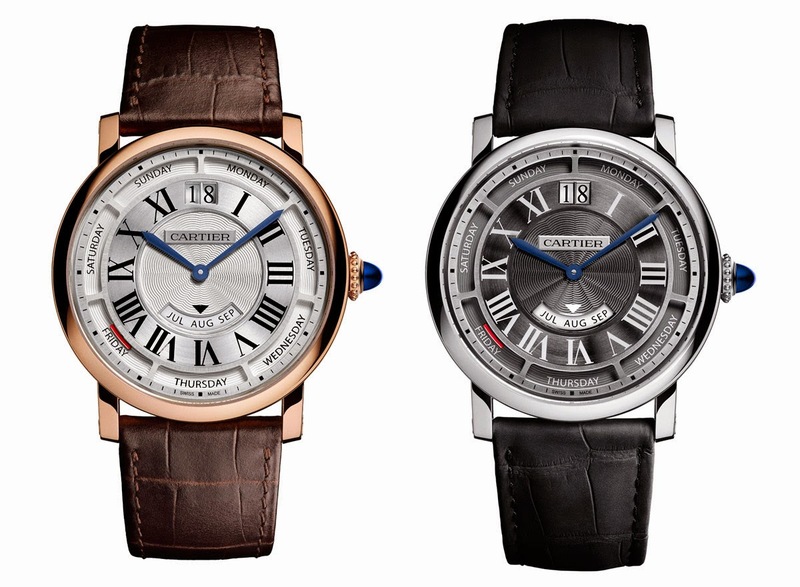 In 2012 Cartier introduced the Rotonde Annual Calendar in a large case with a diameter of 45 mm. 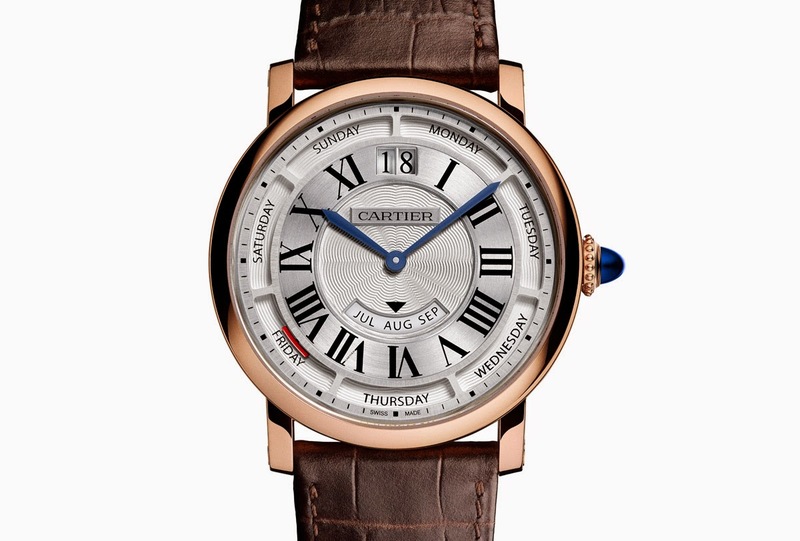 As a preview of the SIHH 2015 new models, Cartier is now presenting a re-designed version of the Rotonde Annual Calendar whose round case is just 40 mm in diameter, making the watch much more wearable and aesthetically balanced. The months indication was moved from the outer circumference of the dial to an aperture at 6 o'clock in the centre of the dial. At 12 o'clock two large apertures indicate the date while a hammer-shaped red-tip along the outer edge of the dial indicate the day of the week. The self-winding calibre 9908 MC offers the annual calendar complication by incorporating a mechanism into the plate of the calibre 1904 MC which is a basic calendar movement, i.e. a mechanism that must be manually adjusted at the end of every month. With an annual calendar, only one manual intervention per year is needed: when the date changes from the 28th or 29th February to 1st March. Calibre 9908 MC beats at 28,800 vibrations per hours and offers a power reserve of 48 hours. 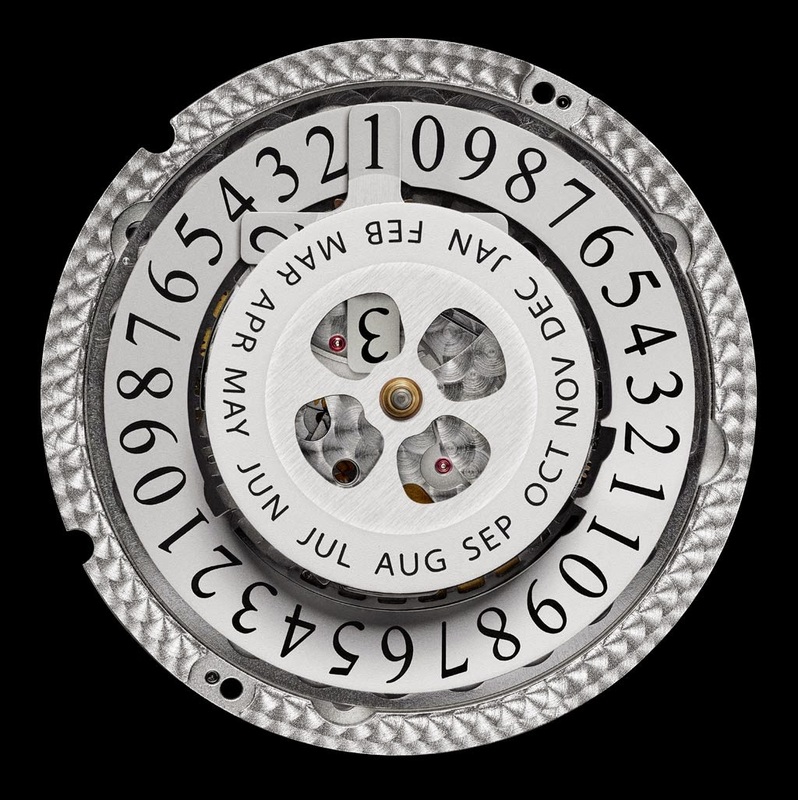 All the calendar’s different indications (day, date and month) can be managed via rapid turning of the winding crown so avoiding any corrector on the case band. 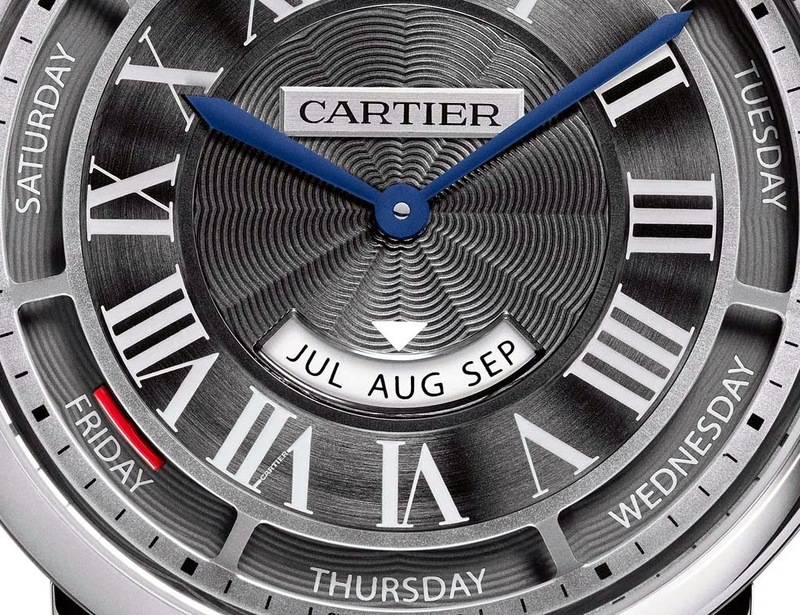 In line with Cartier's design code, the sword-shaped blued steel hands and the large Roman numerals strongly characterises the dial, enriched by an elegant guilloché decoration in its centre. 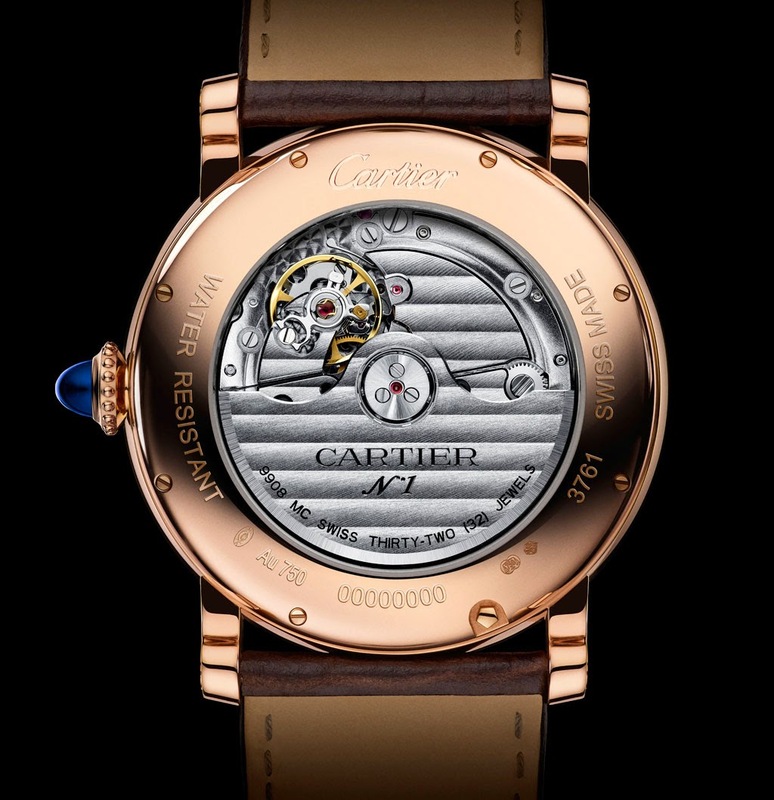 Pre-SIHH 2015: Rotonde de Cartier Annual Calendar 40mm. 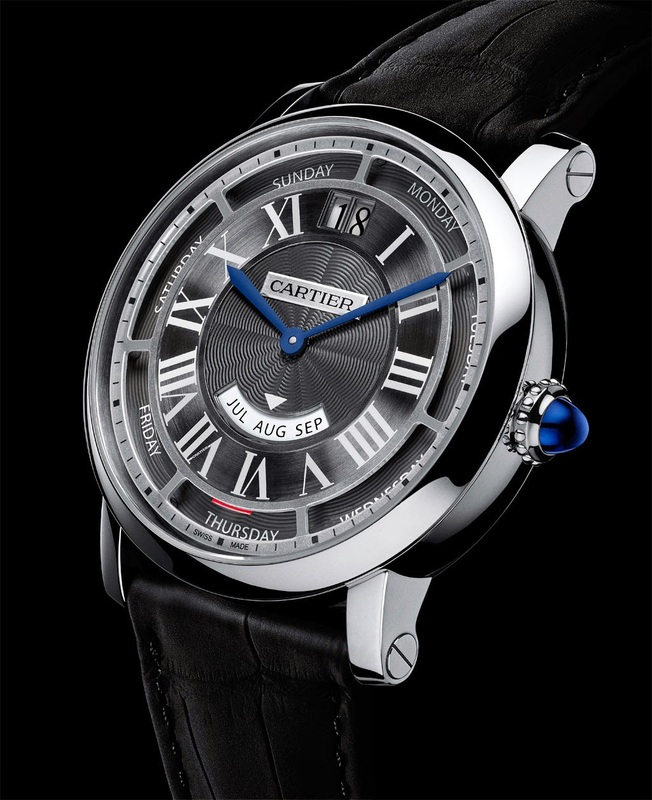 In 2012 Cartier introduced the Rotonde Annual Calendar in a large case with a diameter of 45 mm. 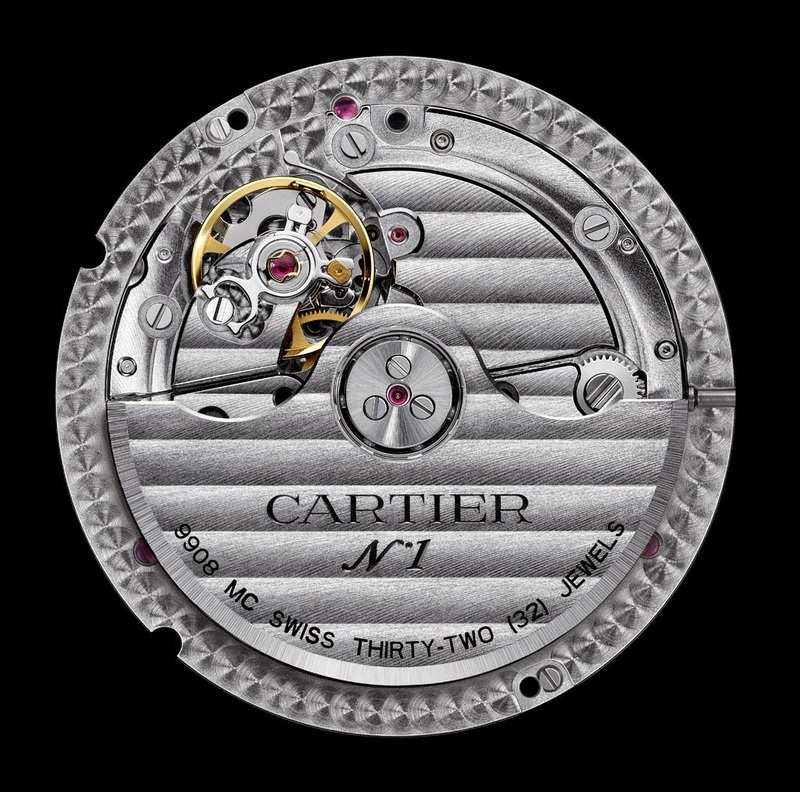 As a preview of the SIHH 2015 new models, Cartier is now presenting a re-designed version of the Rotonde Annual Calendar whose round case is just 40 mm in diameter. The Rotonde de Cartier Annual Calendar watch exists in two versions: in pink gold with a silver dial and in white gold with a grey dial.